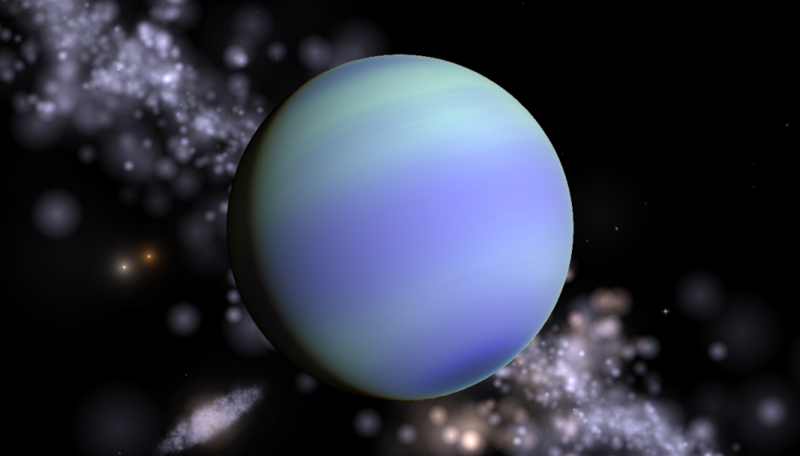 Can you make a sodium rich gas giant. 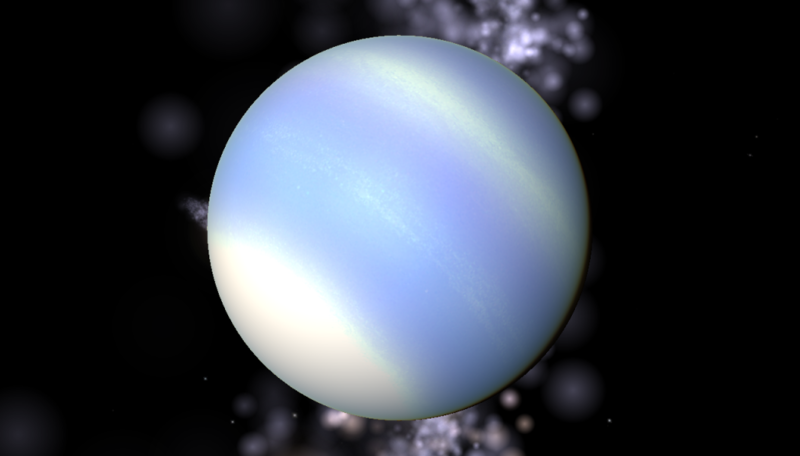 Since sodium is yellow color, the gas giant will probably yellow to brown color or maybe yellow splats where sodium is rich in. White cirrus clouds of vaporize other materials is optional. Just wanted to see what it would look like. I hope you like it, Marasama! A little different than I imaged, but I did not take rayleigh effects into consideration. Still good, I'll do a little more research on Sodium-rich and see if I find more details. 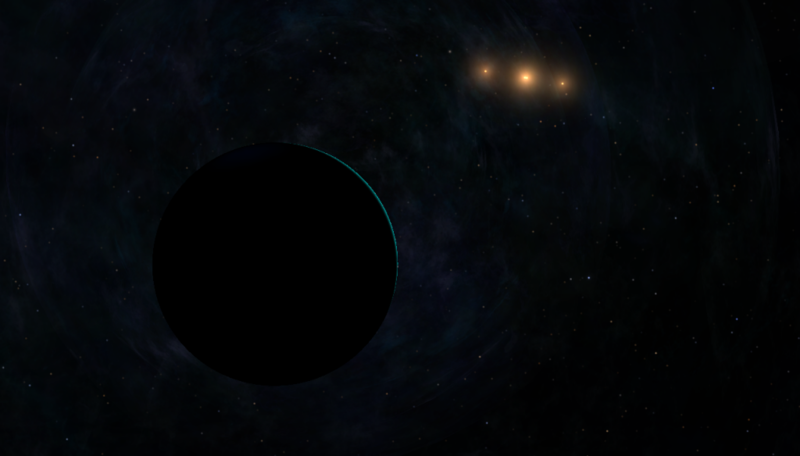 Easter thread bump: HD 69830 planetary system. 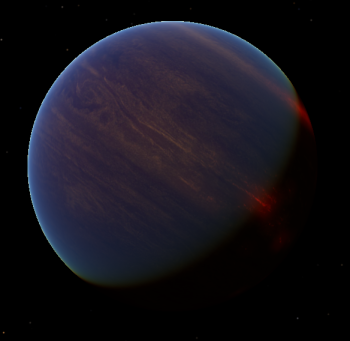 HD 69830 c - less irradiated than former but yet methane-rich and caerulean-looking. 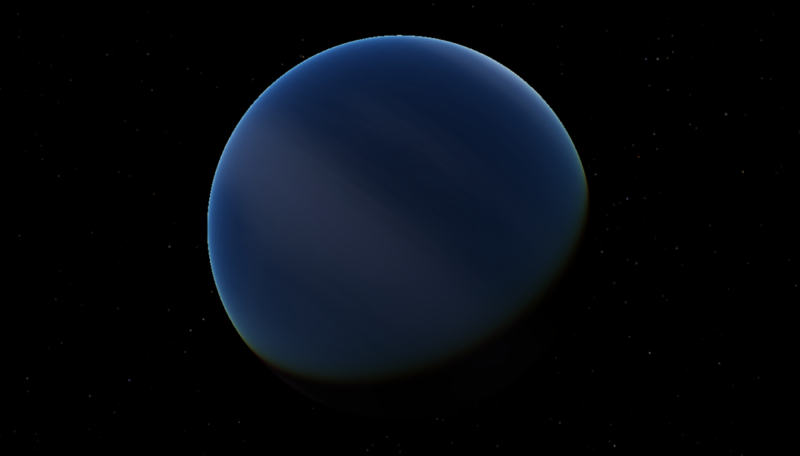 HD 69830 d - water-rich Neptune (or warm Saturn if inclination equates 13°). 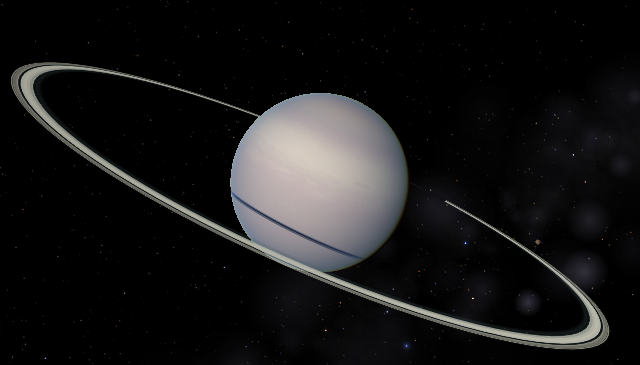 Ring system because of debris disk (Saturn-like rings this time...). And a putative Mercury'sized moon with liquid water filling some craters. 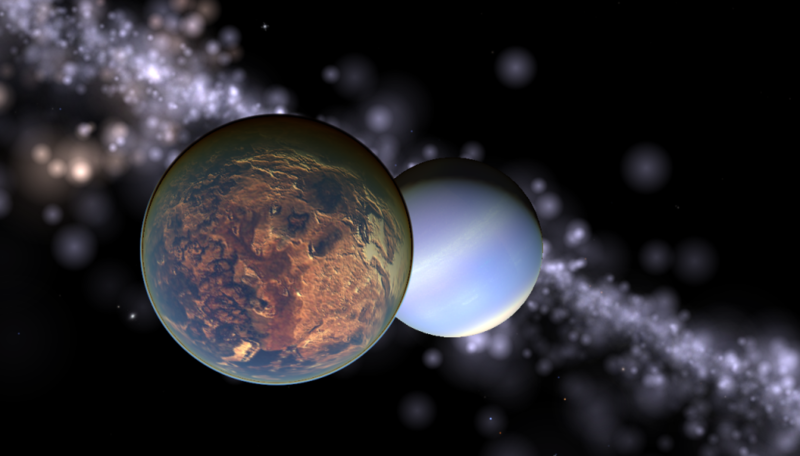 A bit unreal perhaps, since (I don't remember the reference) planets with masses smaller than Mars should not retain liquid water. 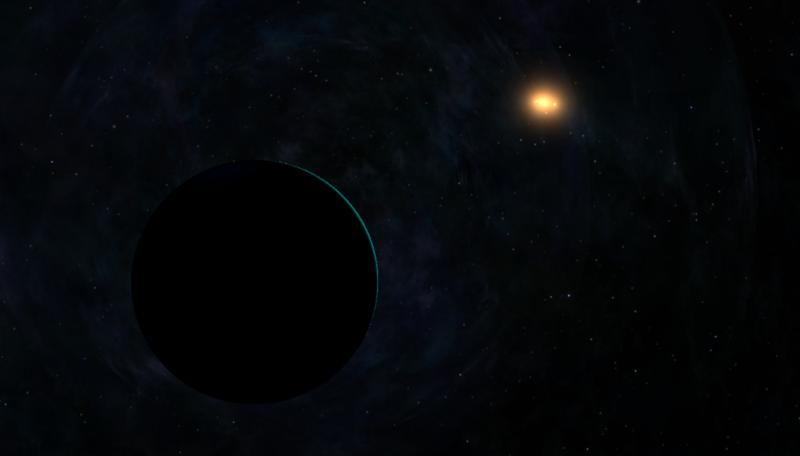 One of my favorite planetary systems. I particularly like the b one, thanks for the eggs ! Edit: what about the asteroid belt ? Actually about the Sodium-rich giant. Would the rayleigh effect + yellow sodium = greenish color rayleigh? 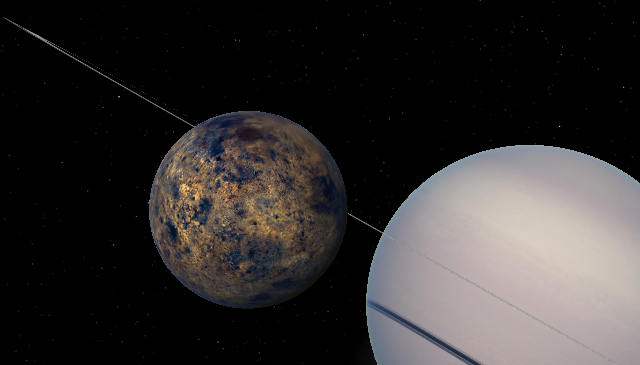 Thread bump: some unusual (putative or yet to be discovered) planetary systems. 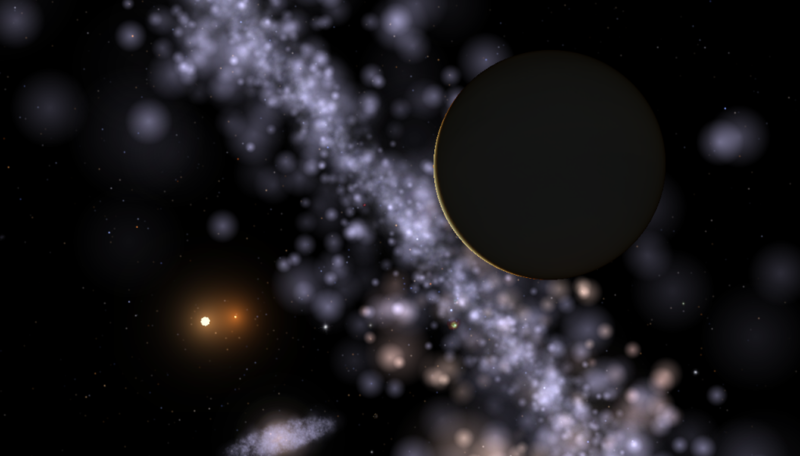 Nu Octantis Ab: this system intrigues me much since assumed to be nearly coplanar with giant host star's binary MS companion (if I remember correctly). 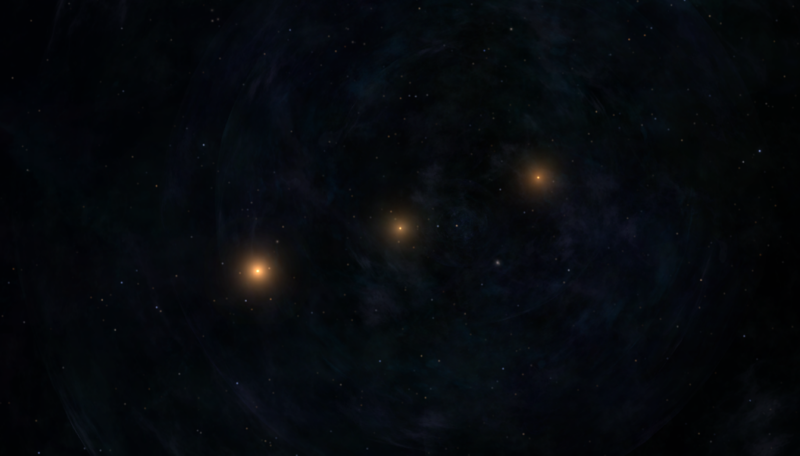 Directly receiving the heat of two stars. If confirmed I'm going to name it Notos, after the spirit of Southern wind (clear assonance with Nu letter too). 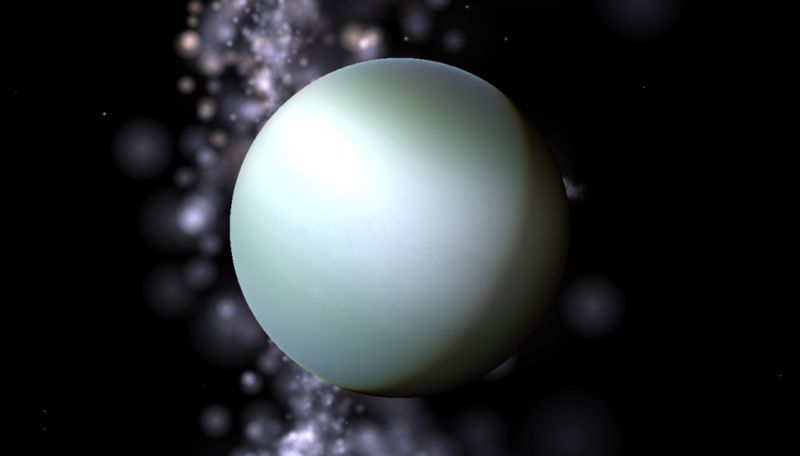 Aoturoa - MOA-2007-BLG-192L b: assumed as a giant Europa or Enceladus. 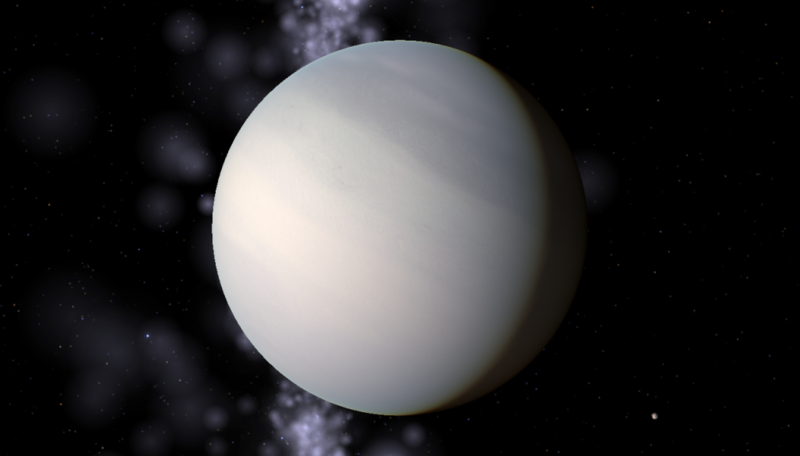 A pure "cryestrial" planet. I call Aoturoa it, after Maori word for "Earth". 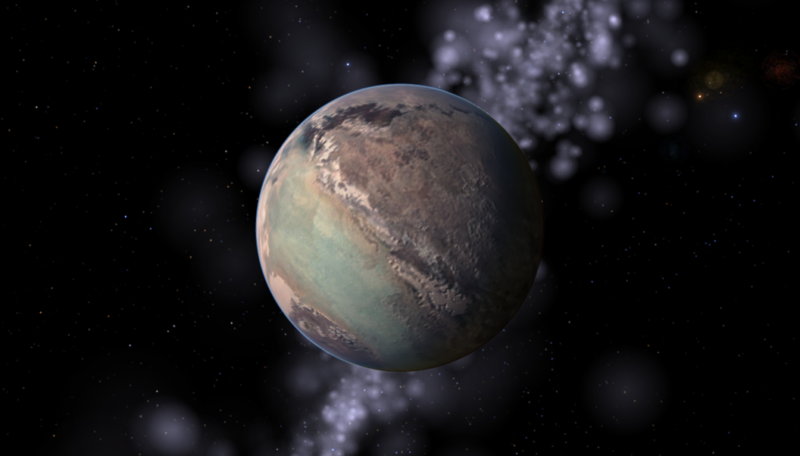 Not referring to habitable conditions of course, but to exoplanet's mass regime. 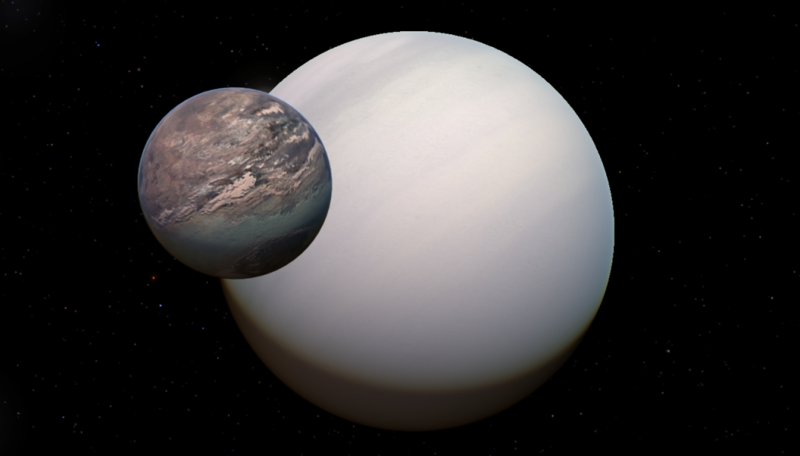 A Snowball Planet: But perhaps I am going to use it as "Snowball Earth" artistic rendering for my research. 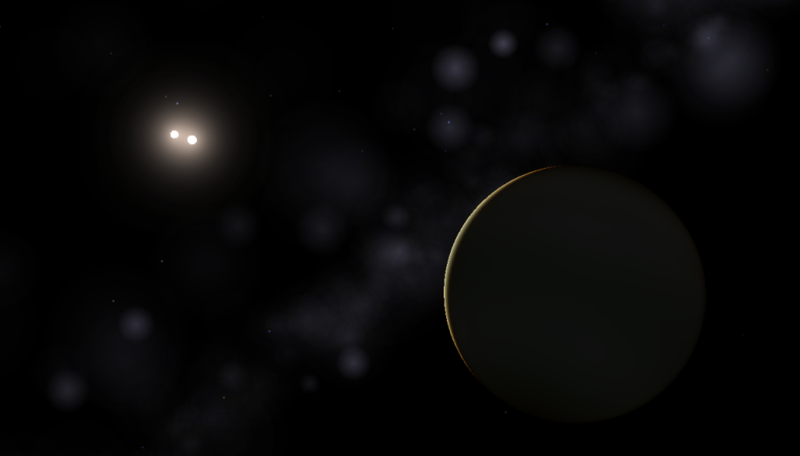 Kepler-14 b - Freshly discovered massive hot Jupiter orbiting a binary F7 star (luminous dot in background is the companion star B). 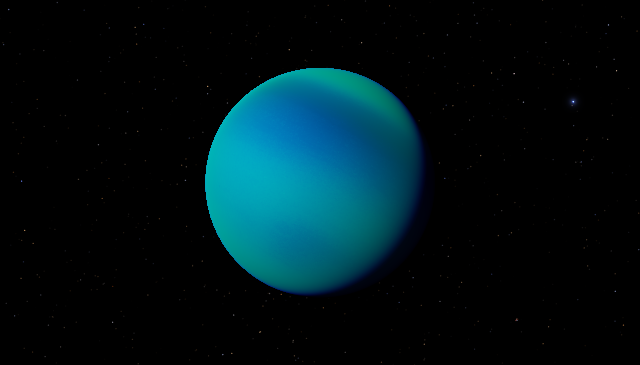 Fictional (these shall feature in a science fiction of mine) - An outer gas giant for Delta Pavonis, having a highly active moon, with a dark volcanic belt along satellite's latitude (black ashes colouring the surface). 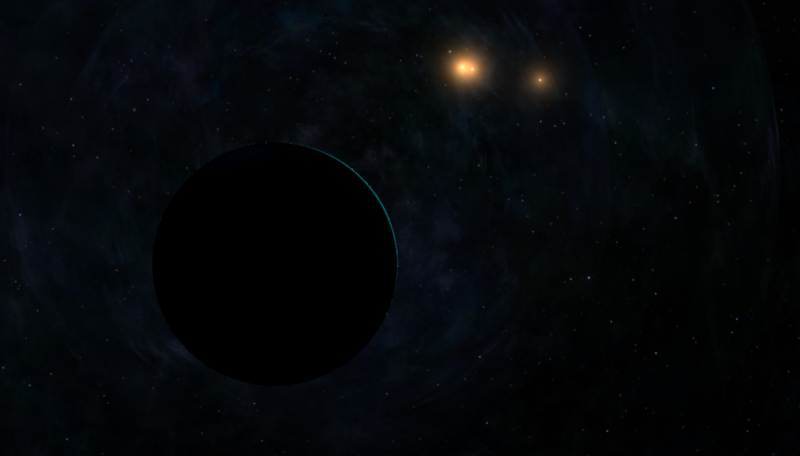 A massive gas giant in peculiar orbital configuration around 36 Ophiuchi Bb. 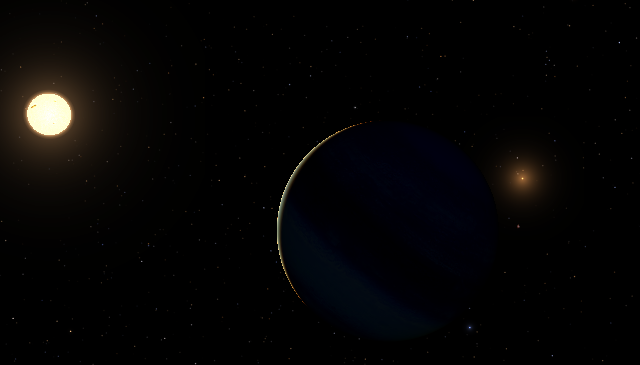 Revisiting spurious astrometric detection of a gas giant at 30-100 yrs orbit around this binary star, assuming peculiar orbital inclination and somewhat a Trojan configuration. Very cold. Stars A and C in background, of course. 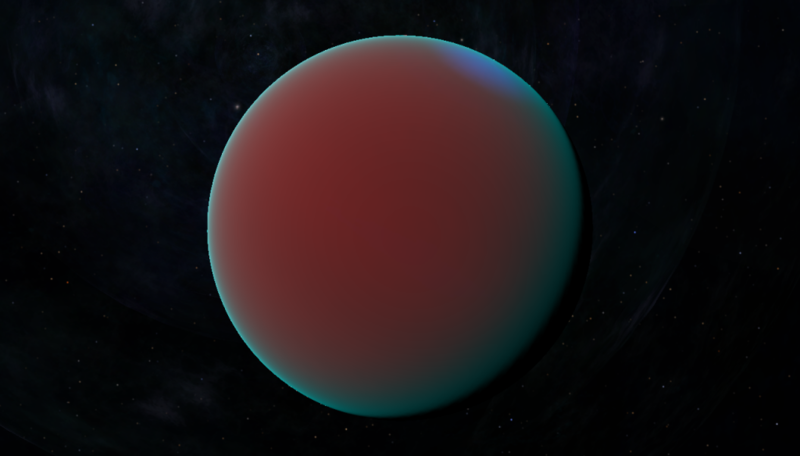 Another putative gas giant, orbiting 70 Ophiuchi A. 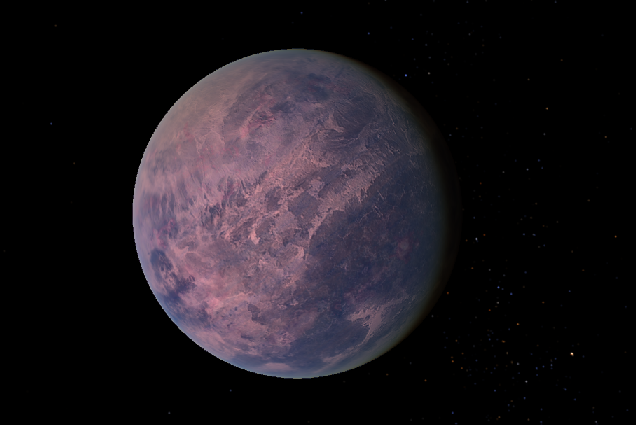 Nearly within the HZ and hosting a cold and dry Earth-like moon, with tundra-type (or moss-like) vegetation. Your work is spectacular! What are the chances that any of these would be available for Celestia? 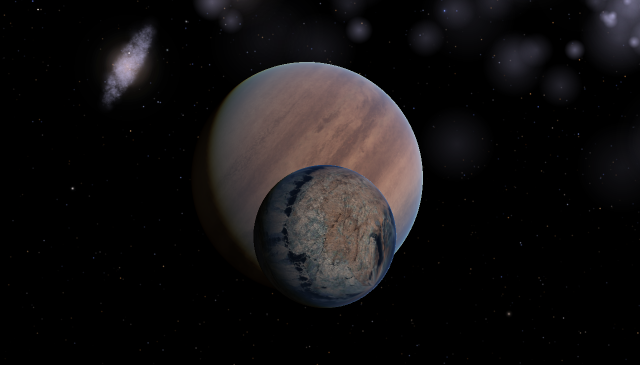 Can you do the Kepler-22 system? Pleasee . Could you try the three circumbinary systems that Kepler found? 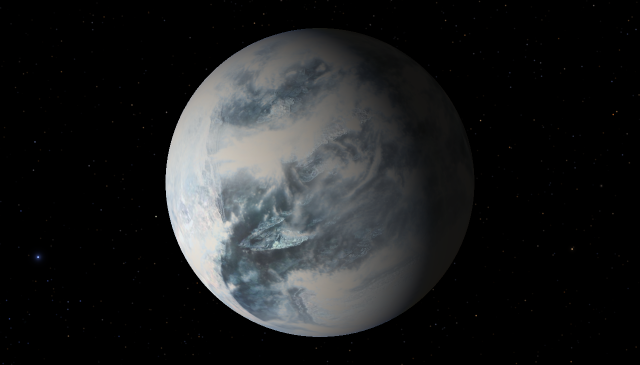 (Kepler-16, -34, and -35?) 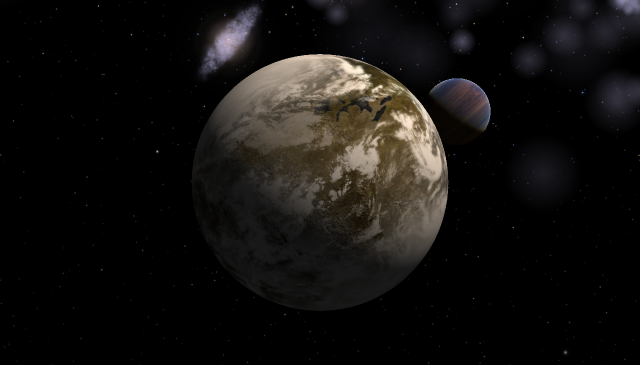 And maybe see what Earth-size moons might look like there (they don't have to be habitable , ), if the hill spheres are large enough? Post reply in hyper-delay. So sorry!!! Yes, this thread has been inactive for long time. 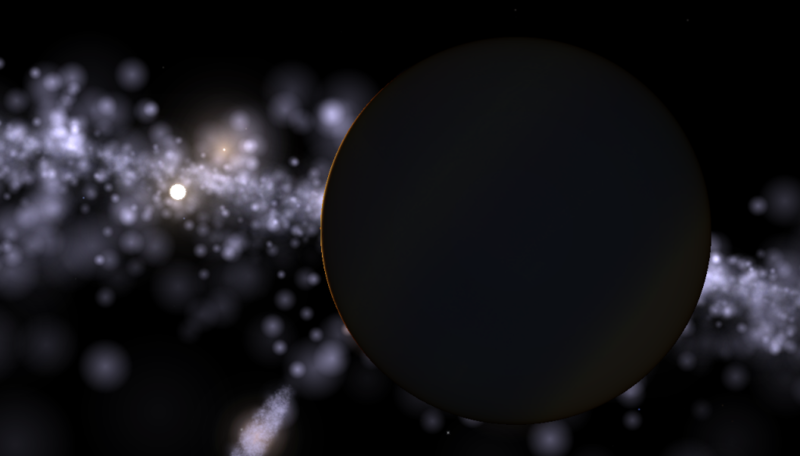 Neither I have submitted new Celestia addons lately. And yes, I would really like to accomplish Neuron, PlutonianEmpire and Baltazar's request at first. Little thread bump with some requests accomplished (more coming soon). 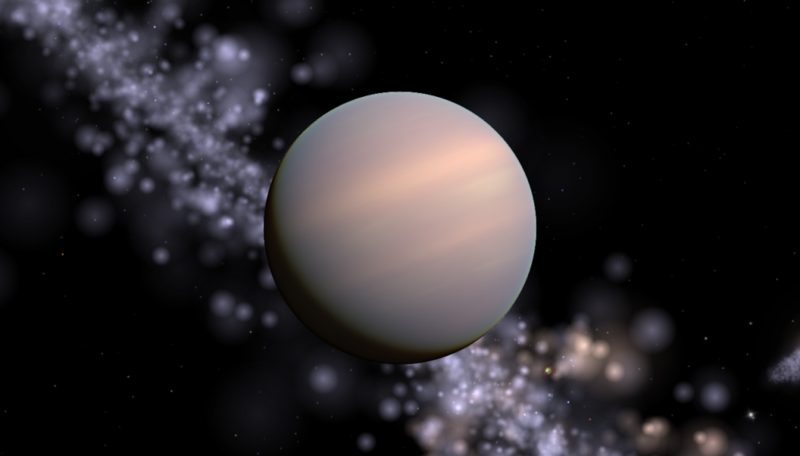 Premiss: it's been a while since the last time I've "played" with Celestia, so that textures for planets and moons are perhaps poor quality. Some changes are needed and I could edit the pictures in further updates. ...No. Not at all. Its Moon says. Well worth the wait! I wonder what will be next? 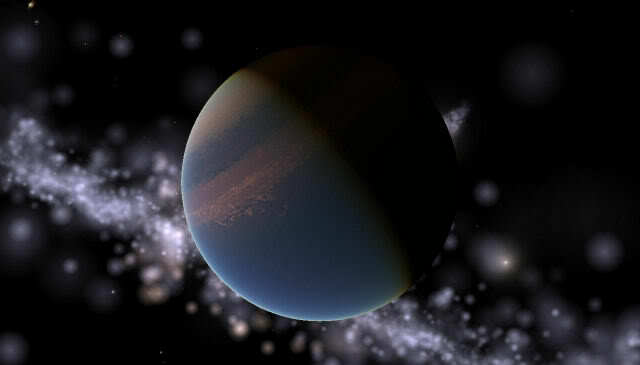 Sunchaser wrote: Well worth the wait! I wonder what will be next? Served. 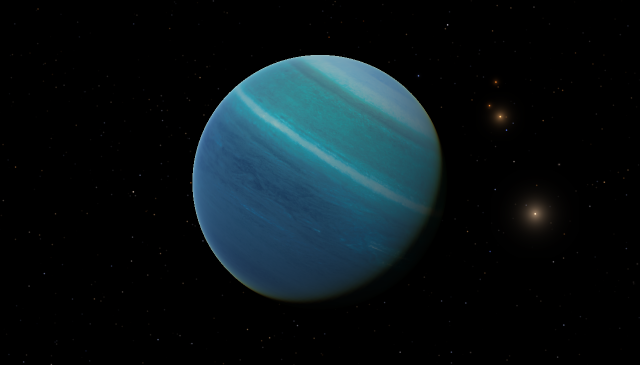 Kepler-64 [A(ab)]b, hot Neptune in quadruple system. 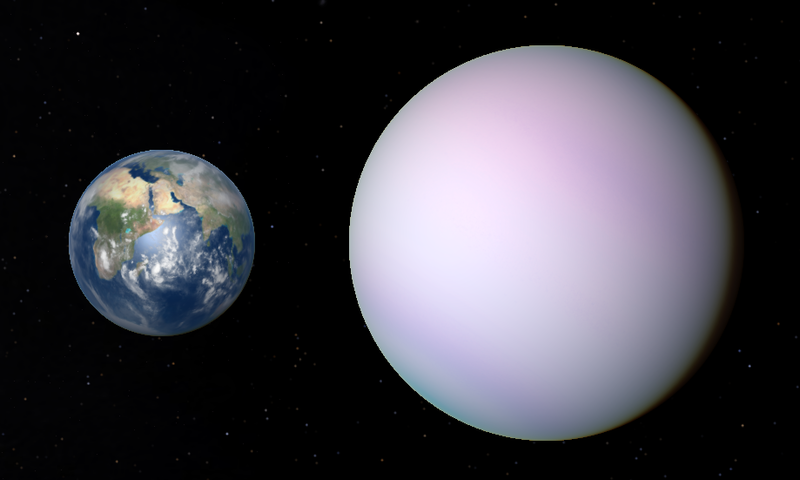 Kepler-61 b, Venus-like Kepler planet. 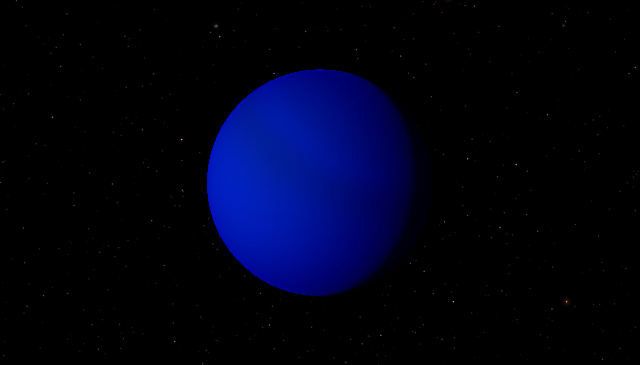 Updated Hot Jovian planet similar to Whatmough's original one for WASP-38 b. 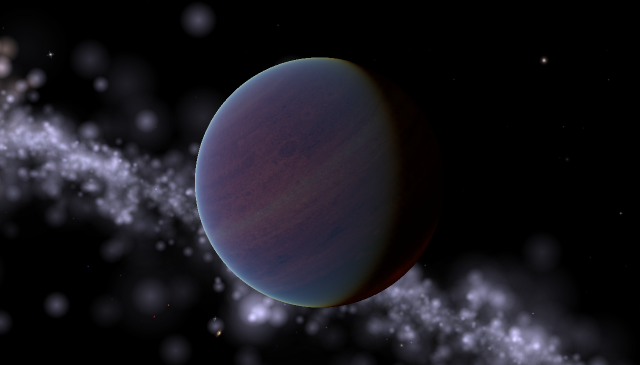 Then the planet/brown dwarf. 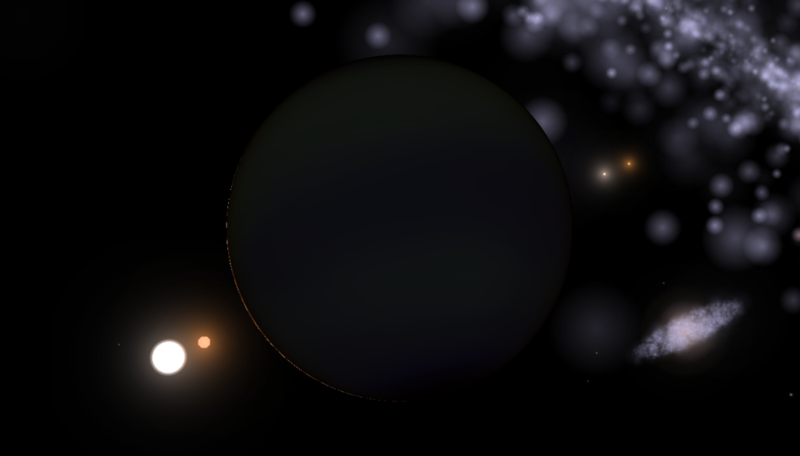 PlutonianEmpire gave me the idea to place planet in nebula (Rho Ophiuchi Dark Nebula) and toy with atmosphere colours (though I'm not entirely at ease with managing them yet). 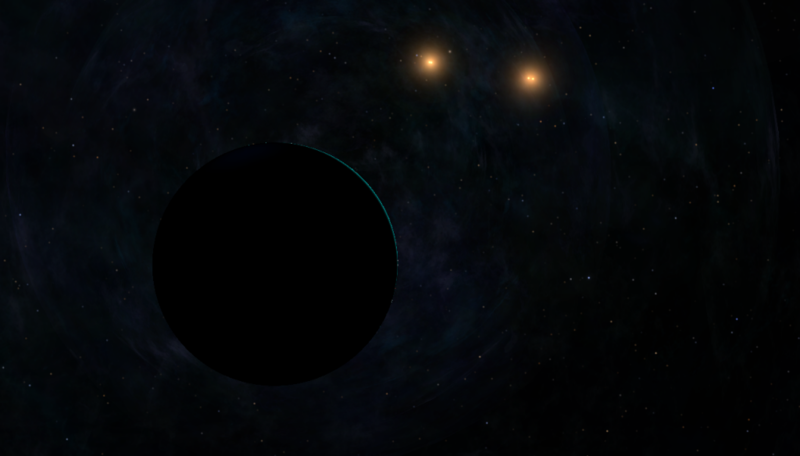 Some rearview displaying the quadruple system in different configurations: Ca-Cb eclipsing (A and B at Ca-Cb sides). That's gotta be one heckuva slow-orbiting planet for the background stars AND its lit crescent to be that stationary for that long. And hey, Im glad to have been able to help out some with the atmospheres. :)And great work, as always! EDIT: And . Didn't notice the post date. Didn't realize that much time had passed. Ah well. Again, great work!